Since 1980, American Woodmark been helping homeowners bring value to their homes. 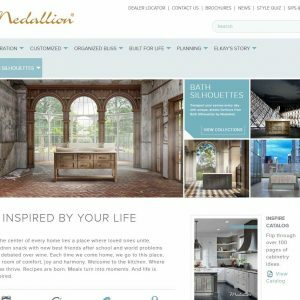 For more than 30 years, they’ve been helping customers make their homes more comfortable, more functional and more stylish. Every American Woodmark cabinet is manufactured in the United States, from quality hardwoods harvested from sustainable forests in the Appalachian corridor. Visit American Woodmark at The Home Depot for affordable style, high quality features and lasting value. Why is “made in the USA” important? Besides providing local jobs in communities across the nation, manufacturing cabinets at home gives American Woodmark 100% control over quality, materials, performance and delivery. Customer’s cabinets are made to order, when they order. 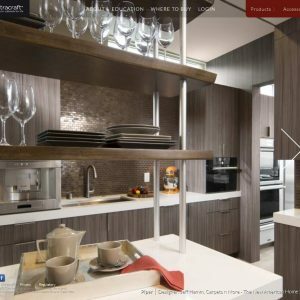 All American Woodmark cabinetry meets the rigorous strength, quality and performance standards set by the Kitchen Cabinet Manufacturers Association (KCMA). We also meet their standards for environmentally responsible manufacturing. American Woodmark kitchen cabinets have earned the prestigious seal of approval from Consumers Digest as A Best Buy. For more than 50 years, Consumers Digest has been helping Americans shop smarter for their most important purchases. In today’s complex and confusing marketplace, this magazine is a trusted resource for identifying outstanding values. Their expert product reviews help you save time, save money … and buy with confidence. 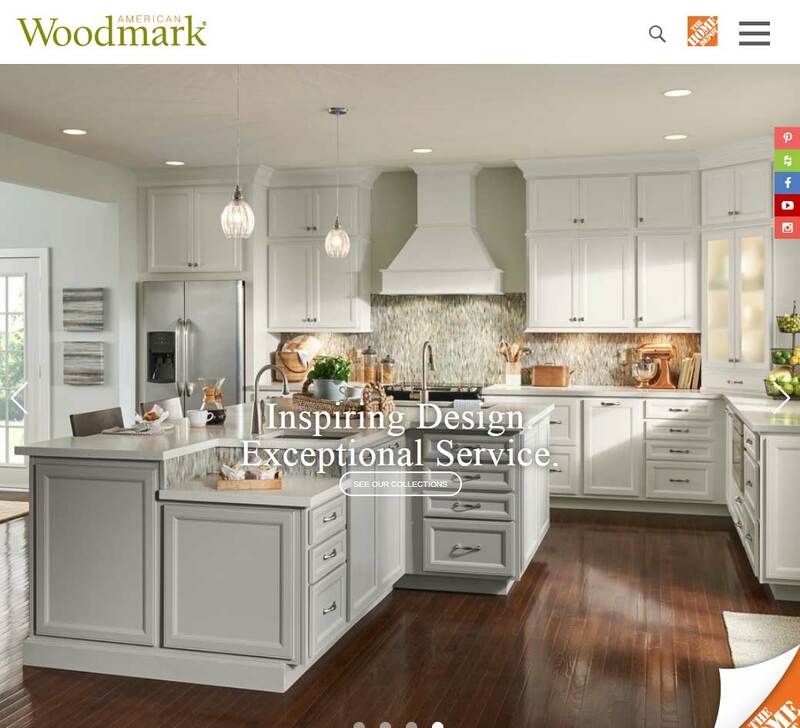 American Woodmark are part of a group of cabinetry companies based out of Winchester, Virginia. 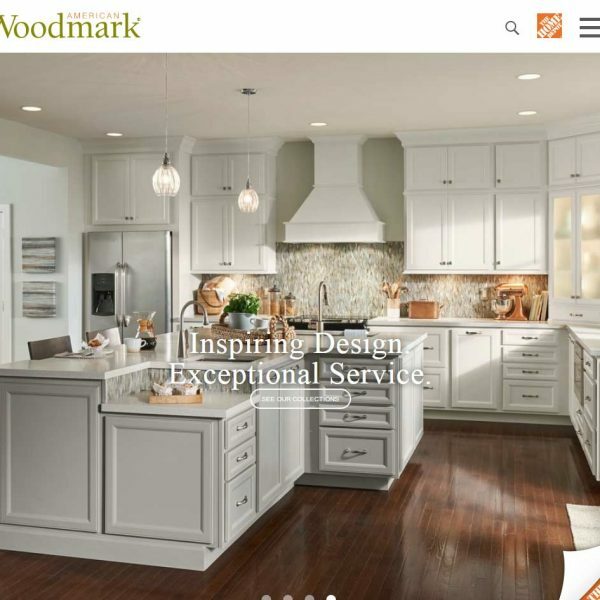 American Woodmark cabinetry brands include Waypoint Living Spaces, Shenandoah and Timberlake Cabinetry, allowing the group to have a cabinet design of a quality and price point to suit any home owner. We ordered cabinets from American Woodmark in the Ashland style with linen paint. The estimated time between ordering and delivery was less than 2 weeks. The first delivery arrived 40% damaged with a combination of factory defects and damage during shipping. These pieces were replaced and the 2nd delivery arrived with the same 40% defect rate. At this point, the delivery team mistakenly took the non-damaged doors with the cabinet frames after they were instructed to leave them. After this second round of damage, a regional account manager stopped by and offered to have the next delivery inspected at the factory and shipped to us in “bomb-proof packaging”. The 3rd delivery arrived with a 60% defect rate. “Bomb-proof packaging” consisted of a single piece of bubble wrap around the cabinet bases and nothing protecting the upper and lower corners. The missing doors were found and left on our porch – leaning against an iron railing in the rain. The subsequent inspection of these doors showed significant damage to the product. We canceled our entire order with American Woodmark and will be going with another cabinet maker. Steer clear of this company. Not only is their “quality control” a joke, the product itself is basically junk. I put in a very small L-shaped kitchen and spent over 7000 dollars on a lot of pressboard/plastic faux wood with real wood fronts. Any replacement parts we ordered were just as bad as the originals. How any company can send out BROKEN replacement parts is beyond me. What’s the point? After a while, you just give up because you want the kitchen DONE and that’s what they’re counting on: you giving up. Mis-aligned cabinets, out of square and parts that had to be sanded down 1/4 of an inch just to fit correctly. The most important part of the cabinet is the top where the counter will sit. If these aren’t finished correctly, you will encounter major problems due to counter tops not sitting correctly. Ours were all over the map and had to be sanded down 1/8 inch in many places just for a level fit. Save yourself the hassle and trouble and expense and stay away from these cabinet companies. If I had it to do all again, I would have simply gotten custom cabinets from someone local. 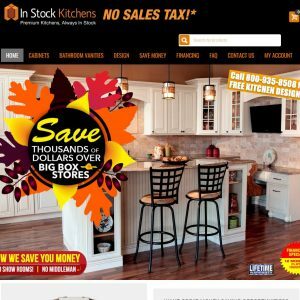 Everything Home Depot and Lowes sells is “off the shelf” and they try to make them fit whatever your kitchen is. Sorry, it does not work that way. PLEASE think hard before parting with cash on one of these kitchens no matter how good a deal it might seem the quality is pretty much as low as you can go I’d say even worse than the Swedish Shop. Save some more and wait a while for your kitchen and don’t make the same mistake we did. I can’t think of a single part of the kitchen thats any good. The cabinets are out of square, the drawer runners are rough, nothing sits right, the finish is rough. I mean actually rough like sandpaper which the doors have clearly never seen, the varnish is patchy and every component is a slightly different color to the one next to it. Ok it was dirt cheap, and if I was doing a rental maybe I’d consider it but for your own home don’t bother. Important: all reviews for American Woodmark should comply with our review policies here.